We have a special offer for the holidays. Do you enjoy supporting local businesses in your area.? We started from the web but local always have our hearts. We’re glad to be apart of the Clarksville web design companies category. $200 for a 3 to 4 page website and if your nonprofit cut that in half. * Promo codes are not active at this particular time. 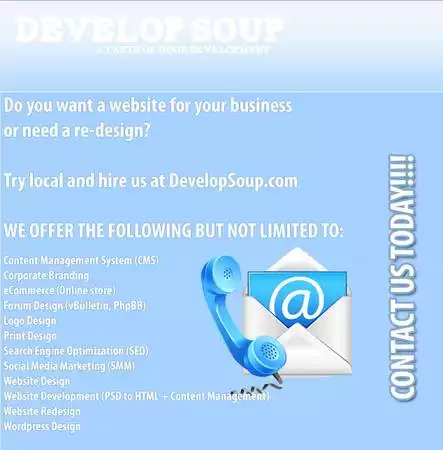 This entry was posted in Clarksville Web Design, Nashville PSD to HTML, Web Design on 2014 by admin.